There is no food better than cereal. If you disagree you should go live in the garbage. According to a recent New York Times article, some people (Millennials) are not that into cereal. But that seems weird considering cereal is the most important food known to man. Sure, I could write a reasoned defense of cereal and talk about how delicious, nutritious, and goddamn easy it is to make, but I don't have to do that. BECAUSE THIS IS ALL SELF-EVIDENT. I would eat cereal for every meal if I could, if health and dying wasn't an issue. Cereal is the chosen breakfast food. There exist three types of bars: alcohol bars, blow dry bars, and CEREAL BARS. Would definitely dive into a giant room full of cereal and swim around in it Scrooge McDuck style. 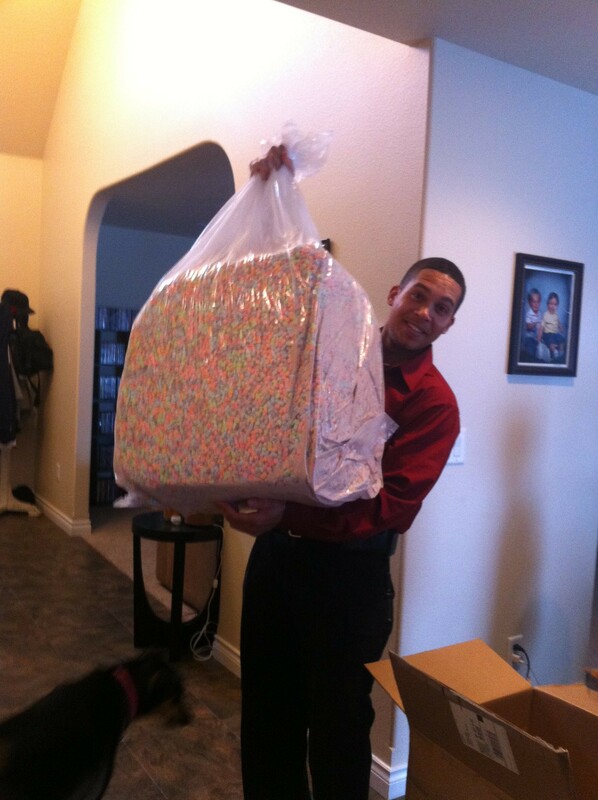 This man bought $110 worth of Lucky Charms. This man is a hero. Cereal is good for your entire body.